GranQuartz was founded in 1971 and is the largest distributor of stone fabrication tools, equipment and supplies in the United States. In addition to the stone industry, we provide top quality products and services to the concrete polishing and tile markets. 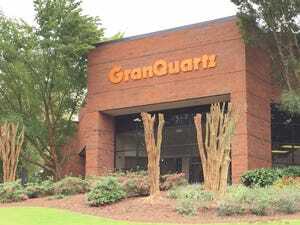 GranQuartz has shipping and retail locations across the United States as well knowledgeable sales and technical support professionals serving our customers. We operate the largest fleet of mobile sales vehicles in the stone industry, bringing our customers the products they need when they need it. Our team of knowledgeable associates truly cares about our customers and understands their business. They have the technical skills to meet the needs of our customers and to resolve their business challenges quickly and efficiently. In addition, we understand the value of excellent customer service and on time delivery. We realize that our customers’ success depends on having quality products to complete their jobs on schedule. GranQuartz is committed to sourcing, developing and distributing the most innovative, cost-effective tools from the world’s leading and most trusted brands. GranQuartz teams with top manufacturers to maintain an unparalleled sourcing pipeline, providing our customers the solutions they need to succeed. Our ADI (UHS) Ultra High Speed technology is the world’s fastest CNC stone tooling. Through research, testing and development, the ADI line continues to evolve, providing our customers the best CNC tooling on the market. In addition, we have a broad selection of our own exclusive proprietary brands, including Diarex ™Pro Series™, Diarex™ Assassin™, Diarex™ Legend™ and Recon™. With nearly 40 years of experience, GranQuartz is the trusted, well-established partner our customers can rely on to do whatever it takes to help ensure the success of their business. Whether we serve you through our experienced staff of sales professionals, retail stores and distribution centers, catalogs, telemarketing or e-commerce, we are always there when you need us!